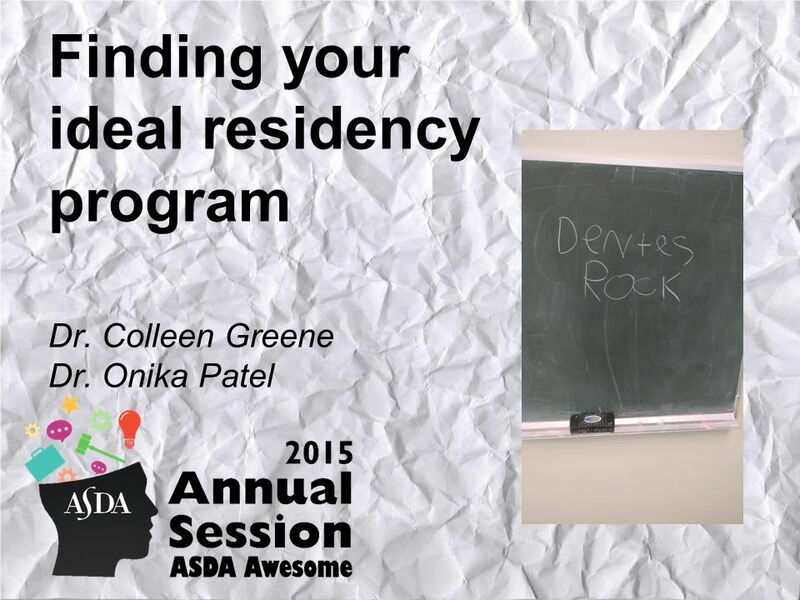 Finding your ideal residency program Dr. Colleen Greene Dr. Onika Patel. 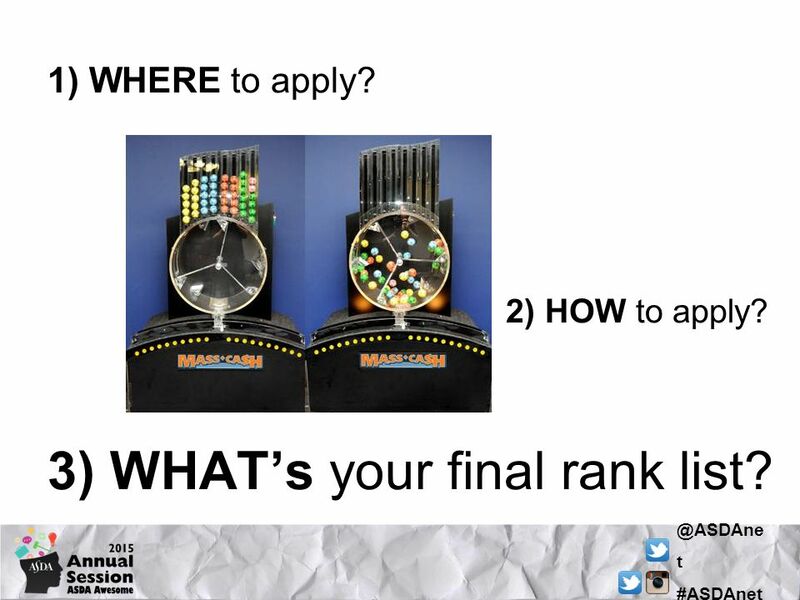 2 @ASDAne t #ASDAnet 1) WHERE to apply? 2) HOW to apply? 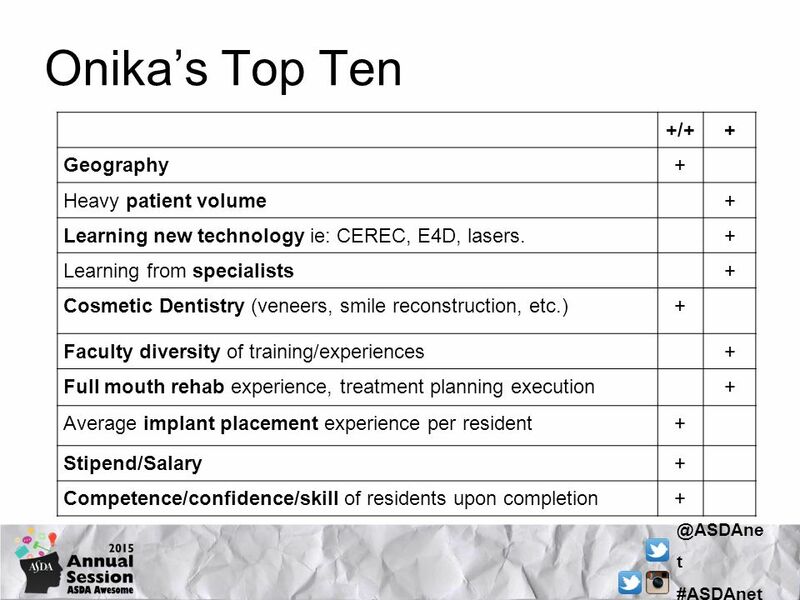 3) WHAT’s your final rank list? 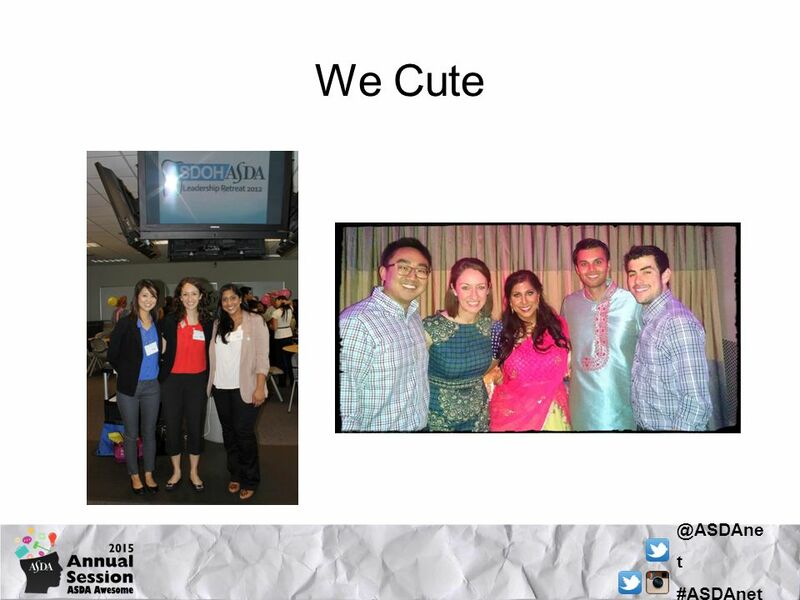 4 @ASDAne t #ASDAnet Define your Vision What are your goals? Type of program o AEGD vs GPR vs both! 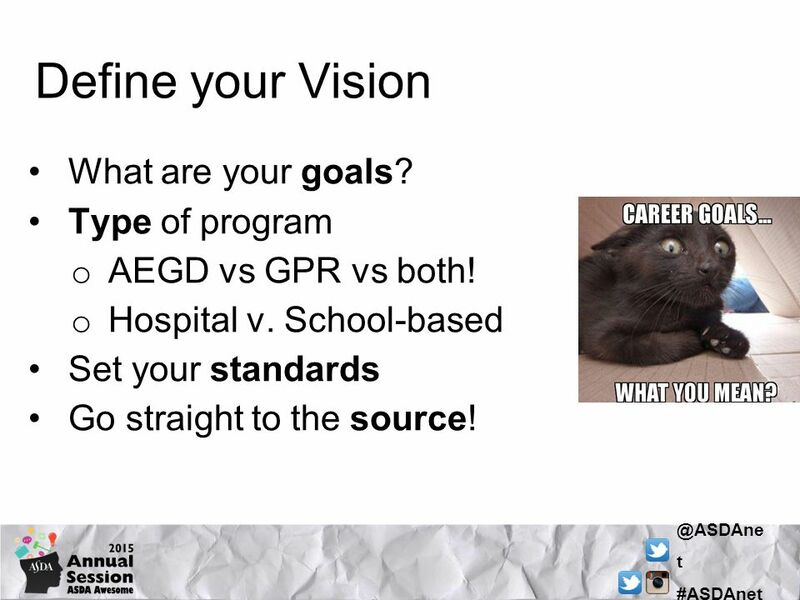 o Hospital v. School-based Set your standards Go straight to the source! 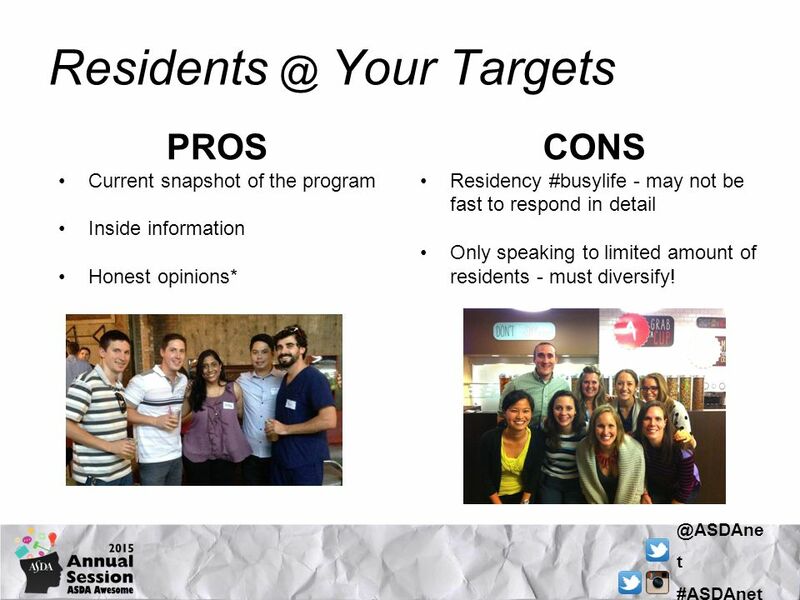 11 @ASDAne t #ASDAnet Residents @ Your Targets PROS Current snapshot of the program Inside information Honest opinions* CONS Residency #busylife - may not be fast to respond in detail Only speaking to limited amount of residents - must diversify! 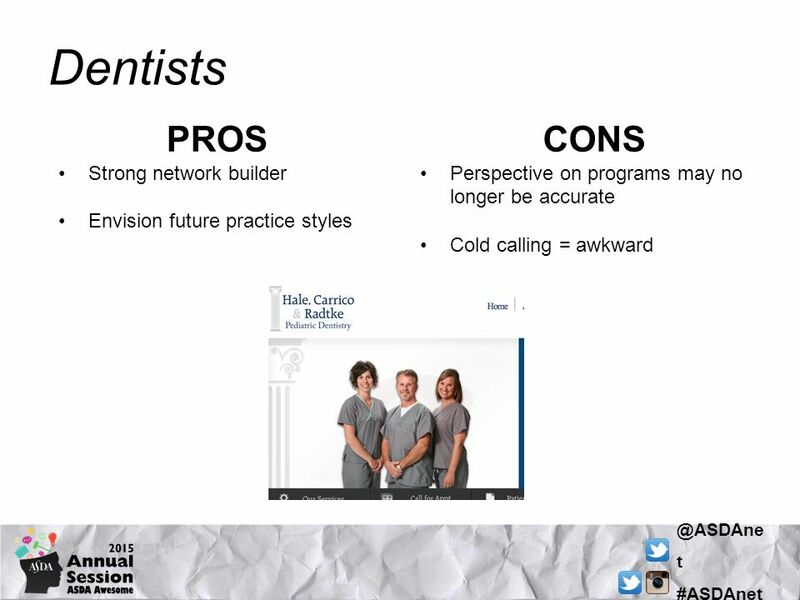 12 @ASDAne t #ASDAnet On Site Visits PROS See it for yourself! 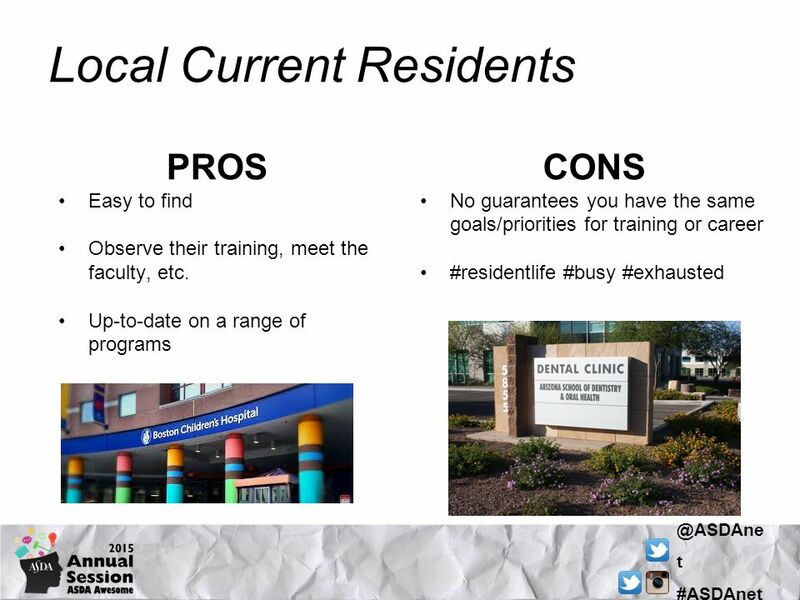 Build relationships with residents/faculty! Soak in the culture/authority style! CONS Co$t$ Time away from school/clinic/life Still a limited snapshot Interview is NOT guaranteed! 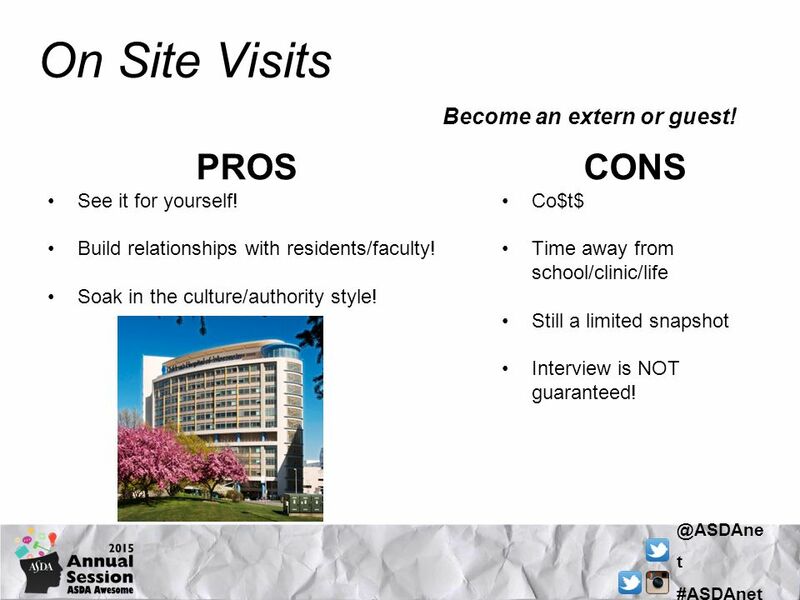 Become an extern or guest! 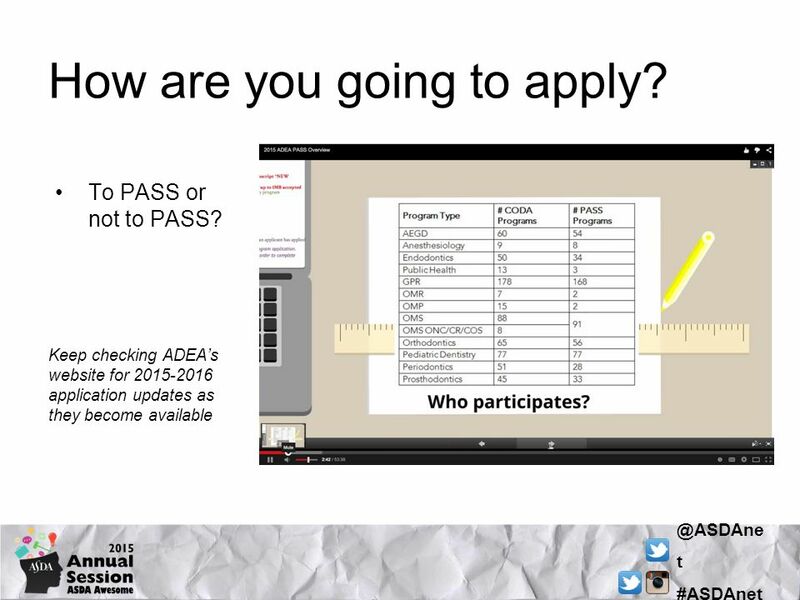 13 @ASDAne t #ASDAnet How are you going to apply? Who do you ask for letters? 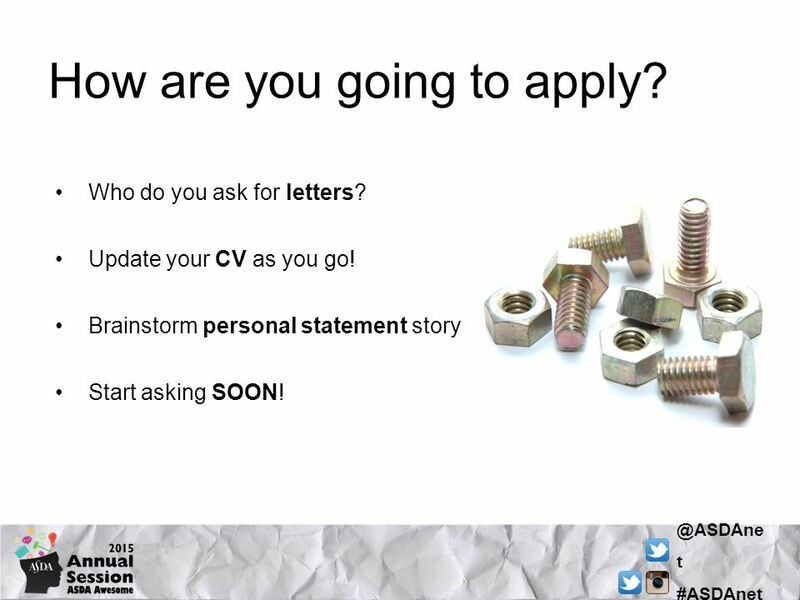 Update your CV as you go! 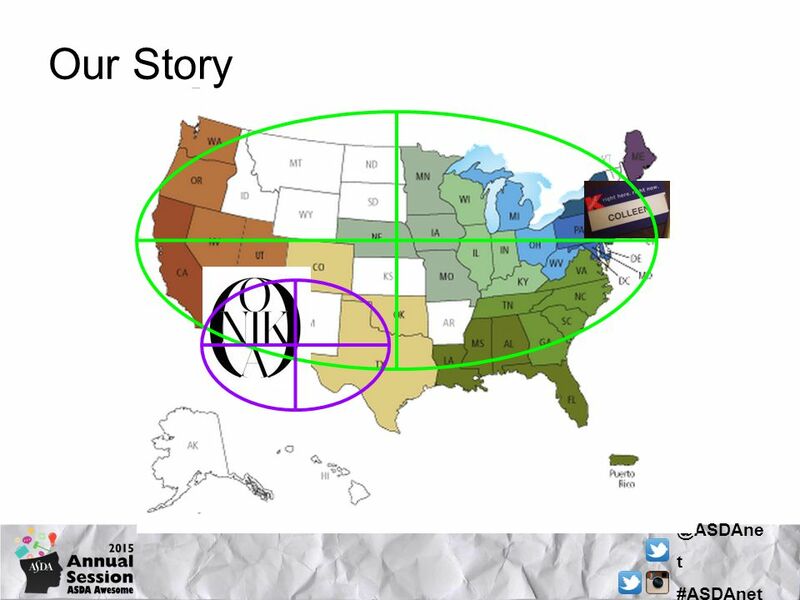 Brainstorm personal statement story Start asking SOON! 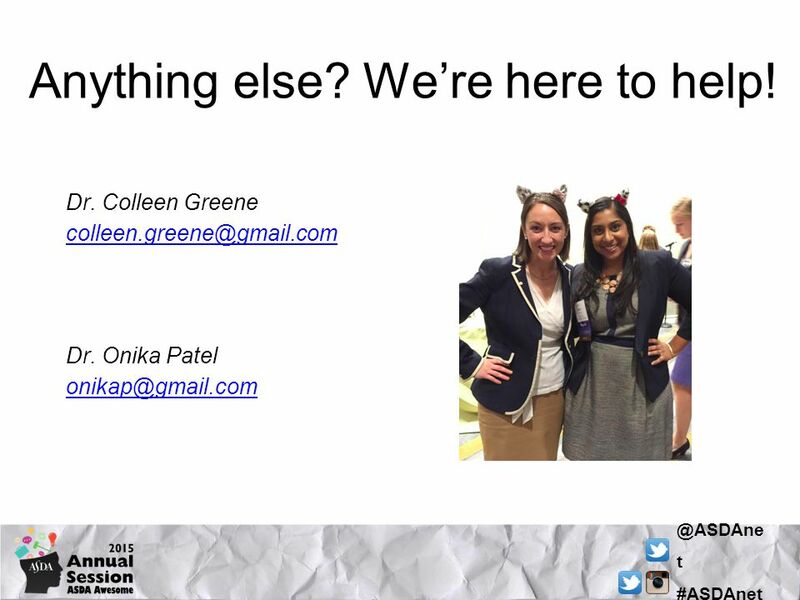 Download ppt "Finding your ideal residency program Dr. Colleen Greene Dr. Onika Patel." Academics Top grades Competitive Board Scores Try to be AOA, top tier of class, first and foremost many programs use a cut off to determine whom they. Probing Questions Learning Assistance Centers Tutor Training. NAF Online Professional Development eCollege: How Does It Work? What is the difference between undergraduate and graduate course ? Corporate Connections An Overview of the Industry-to-Student Mentoring Program Cal Poly, SLO Multicultural Engineering Program.  I have not yet been accepted  No school has started acceptances at this point in time  I have been interviewed at 6 schools. 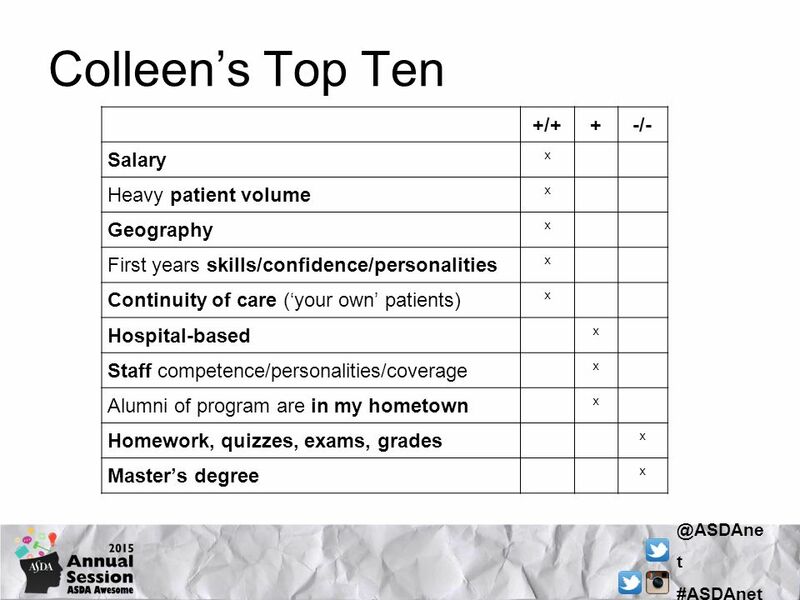 A Hands-on Lesson in CV Writing Dr. Colleen Greene, DMD, MPH Immediate Past President. Tried-and-true: Are you familiar with the website creator from other school projects? Has your teacher recommended this site as one to use? Remember to. Careers. A competency is an are of knowledge, skill or expertise. Why is it important you know what skills you have when you are thinking about your career? 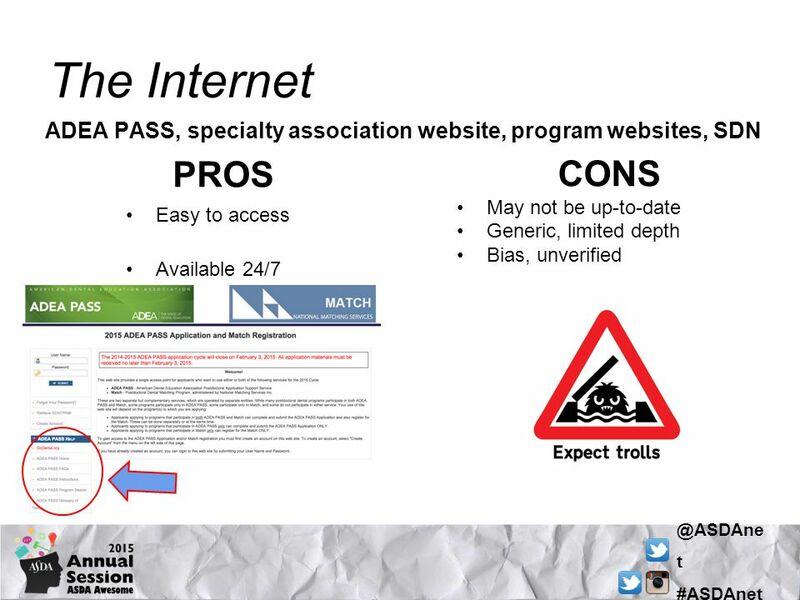 BECAUSE IT’S ON THE WEB IT’S TRUE….RIGHT?? 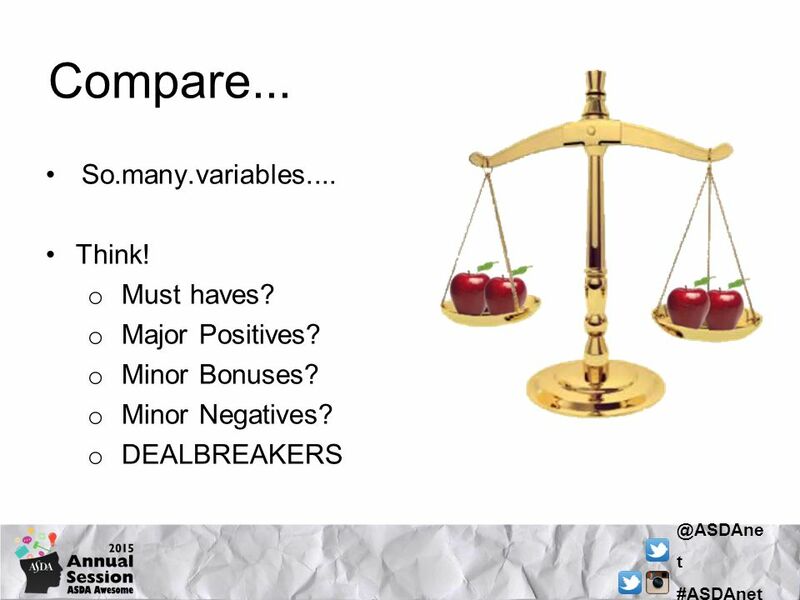 THERE IS A WORKSHEET TO COMPLETE AT THE END OF THIS PPT……EARBUDS ALLOWED…. 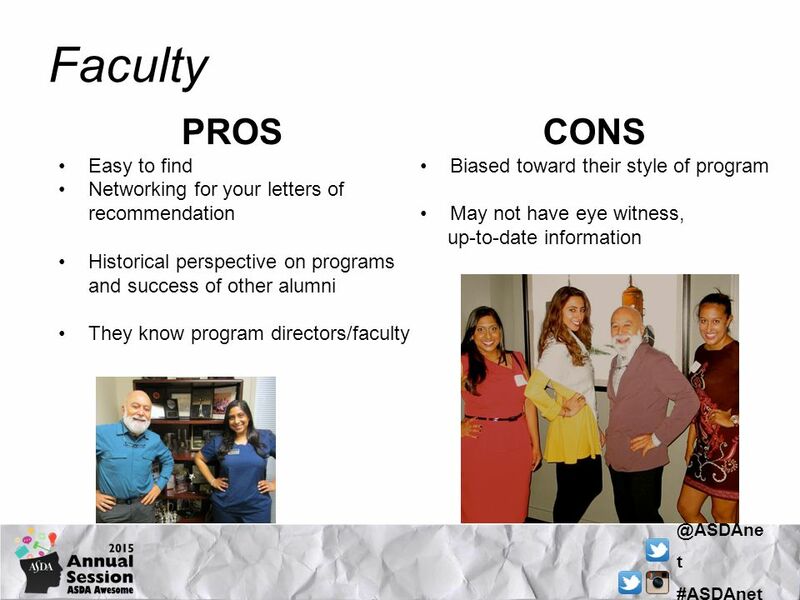 PRE-LAW ADVISING OFFICE OFFICE OF UNDERGRADUATE EDUCATION Everything You Need To Know About Applying To Law School. 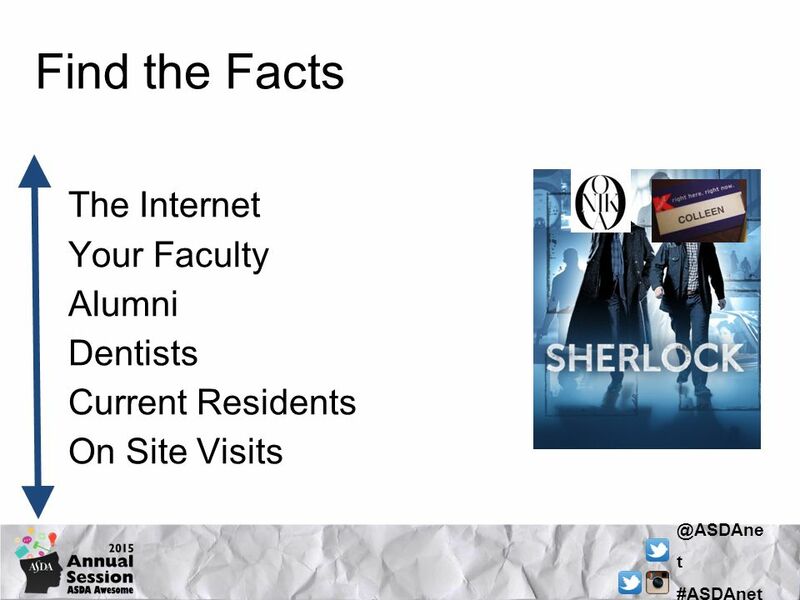 Brought to you by Career Services and the Pre-Law Advisor. Dealing with Interview Nerves Adam Sandelson and Laura-Jane SiIverman. Please refer to the corresponding clinical week. Complete all the discussion questions prior to post conference the Monday after your clinical week. Leave. 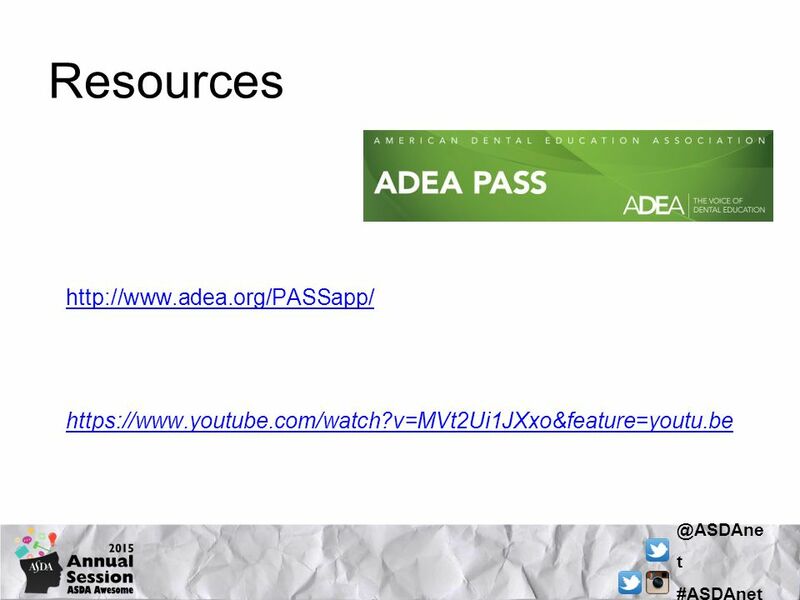 Andrew Read-Fuller, DDS ASDA Western Regional Meeting November 5, 2011. Going to school because you want to. Setting your own course in life. Staying in school and getting good grades. Graduating and getting the “right” job! Personal Development Plan PDP. PDPs  A really straight forward way to start planning for your future success.  Also useful if you are working hard but.